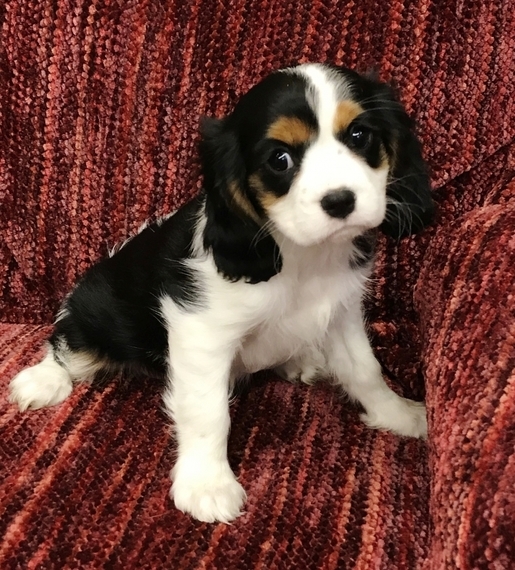 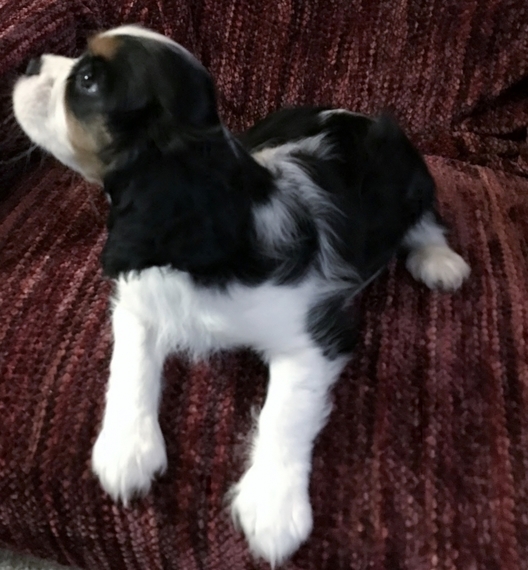 Pandora is a beautiful example of what a Cavaliers should be; gorgeous even color markings, melting eyes and expression, sweet even temperament, happy and loves to give lots of kisses. Pandora has been started on cloth potty pads, will be micro chipped prior to leaving, be current on age appropriate vaccinations, socialized, and will know what do you want a cookie means prior to going to her new home. 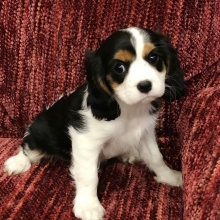 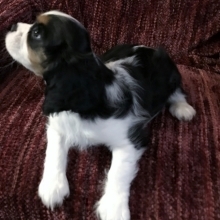 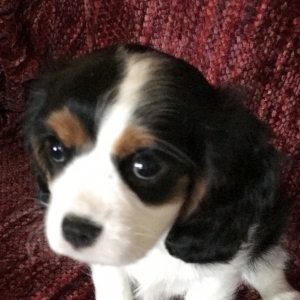 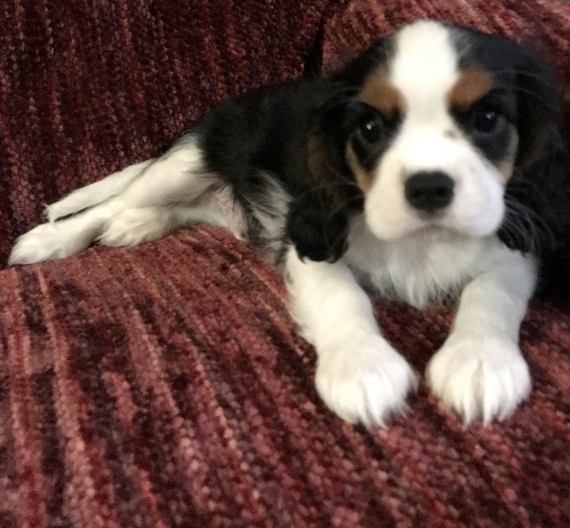 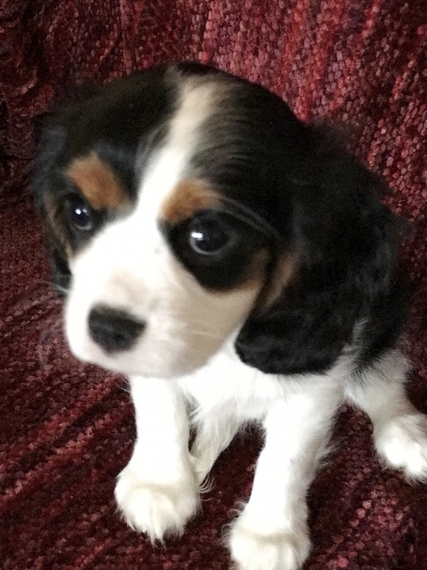 This little girl is gorgeous, if you've ever wanted a Cavalier, don't let her pass you by!